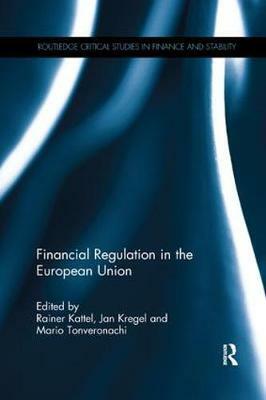 This collection offers a comparative overview of how financial regulations have evolved in various European countries since the introduction of the single European market in 1986. It includes a number of country studies which provides a narrative of the domestic financial regulatory structure at the beginning of the period, as well the means by which the EU Directives have been introduced into domestic legislation and the impact on the financial structure of the economy. In particular, studies highlight how the discretion allowed by the Directives has been used to meet the then existing domestic conditions and financial structure as well as how they have modified that structure. Countries covered are France, Germany, Italy, Spain, Estonia, Hungary and Slovenia. The book also contains an overview of regulatory changes in the UK and Nordic countries, and in post-crisis USA. This comparative approach raises questions about whether past and more recent regulatory changes have in fact contributed to increase financial stability in the EU. The comparative analysis provided in this book raises questions on whether the past and more recent changes are contributing to increase the financial stability and efficiency of individual banks and national financial systems. The crisis has demonstrated the drawbacks of formulating the regulatory framework on standards borrowed from the best industry practices from the large developed countries, originally designed exclusively for large global banks, but now applied to all financial institutions.